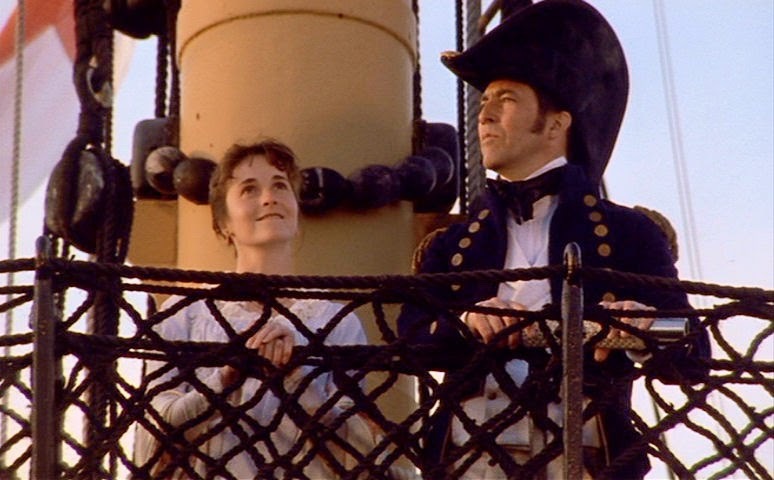 Persuasion's Anne Elliot is considered to be the most "interior" of all Jane Austen heroines. She does very, very little during the course of the novel. And she talks very, very little during the course of the novel, even with her love interest Captain Wentworth. Their reconciliation consists of a handful of exchanges, mostly brief and superficial. What we know about her thoughts and history comes mostly from her interior ruminations, not dialogue or action. And yet: She is the one Austen heroine who completely busts out of, not just her unpleasant family or provincial town, but the entire society in which she has been raised. Wentworth is a naval officer. Like Mrs. Croft, Anne can expect to spend at least some of her years on ship with him. She's the polar opposite of Emma, who yakkity-yaks her head off but is very clear to Knightley that she doesn't want to leave her home, much less her village or country. If Jane Austen had lived past 42 years, where would she have taken her later heroines?